On this date in 1964, which happened to be Good Friday, the largest earthquake in US history struck Southcentral Alaska. With its epicenter in Prince William Sound and its magnitude measured as 8.6 or even higher on the Richter Scale, the Good Friday earthquake caused massive destruction throughout the region. The nearby town of Valdez was completely destroyed and later rebuilt on a different, less seismically vulnerable site. Other towns such as Seward and Whittier didn’t suffer that fate, but 13 of the 70 residents of Whittier died in the quake and the following tsunami, and port facilities both there and in Seward suffered so much damage that they have never fully recovered their economic importance. Anchorage, which was a bit further away, suffered somewhat less, although it was still hit hard. Indeed, its port managed to stay open in the aftermath of the quake and tsunami, which was one of the factors making Anchorage become the main economic center for the region and the whole state in the following years. 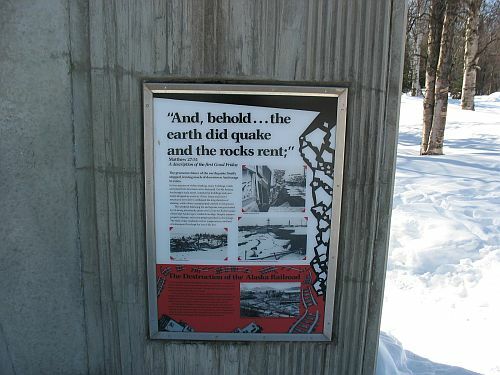 This is not to say that the earthquake wasn’t a major disaster for Anchorage as well, however. The city was built on sediments that turned out to be pretty vulnerable to shifting when hit with an impact of that scale, and parts of the downtown were literally torn apart. 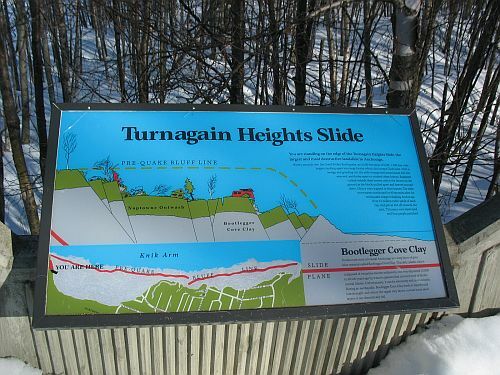 An upscale residential area known as Turnagain Heights suffered a landslide so devastating that the city, rather than attempt to rebuild, designated it as a park. 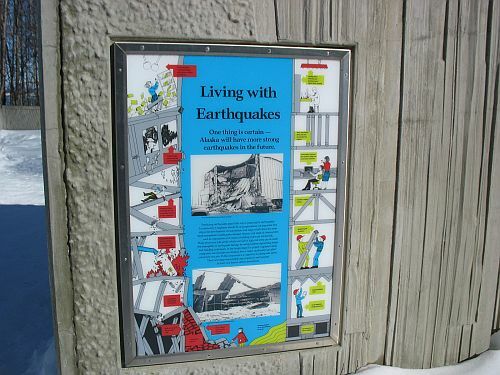 It is now aptly named Earthquake Park, and while there isn’t much obvious evidence of the effects of the earthquake anymore, there are interpretive signs that tell the story quite effectively. 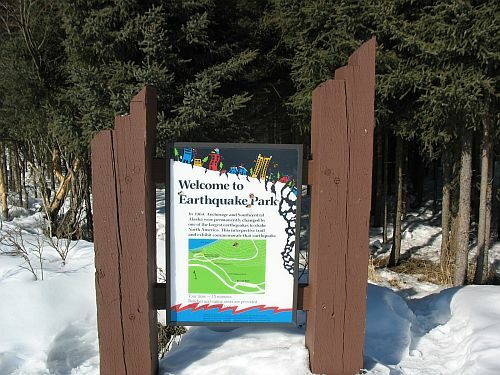 Earthquakes are a fact of life in Alaska, which just north of the area where the Pacific Plate slides under the North American Plate (known as the Aleutian Trench). This movement is continual, but it only occasionally occurs in the form of massive slips of the sort that cause earthquakes on the scale of the one in 1964. The more usual effect is to warp and compress the land of Southcentral Alaska. This warping, along with other factors such as glaciation, leads to complicated changes in sea level over time, changes which can vary substantially in areas only a few miles apart. And that, in turn, greatly complicates study of the archaeological record of Alaska. Rising sea level typically destroys archaeological sites (although in certain very specific circumstances it may instead preserve them in excellent condition), and changes in sea level over time may make sites from a given time period difficult to locate even if they haven’t been submerged. Furthermore, cultures of coastal Alaska have generally been oriented toward the sea, with settlements typically located fairly close to wherever the coastline was at the time. This means that sea-level fluctuations have even more profound impacts on understanding the archaeological record here than they might in some other areas. These factors are illustrated dramatically in a 1996 article by Aron Crowell and Daniel Mann reporting on research in Kenai Fjords and Katmai National Parks attempting to carefully document sea-level changes and their effects on the archaeological record. 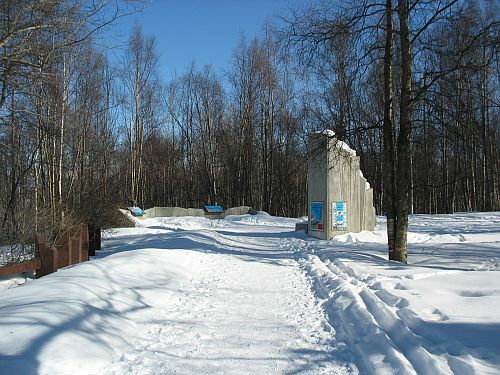 These two parks are not very far from each other, being about 200 miles apart and both located on the coast of the Gulf of Alaska, but their geological and cultural histories differ dramatically. Kenai Fjords, as its name implies, is dominated by coastal fjords created when rising sea level inundated glacial valleys. Its archaeological record is sparse and limited to the past few centuries. Katmai, on the other hand, has a relatively stable coastline and an enormously rich and well-documented archaeological record dating back several thousand years. Much of what is known about the archaeology of southwestern Alaska is based on long-term research in various parts of Katmai by Don Dumond of the University of Oregon from the 1950s through the 1980s, and there has been considerable additional research since then. The cultural sequence in this area closely parallels that of the nearby Kodiak Archipelago, which was one of the most densely populated parts of Alaska when the Russians arrived in the eighteenth century. The Kenai Fjords area, on the other hand, had a much lower density at this time, as did Prince William Sound further east, with which it has many similarities. This lower density has been plausibly attributed to lower resource productivity in these areas, but Crowell and Mann point out that the extremely low density of prehistoric archaeological sites in Kenai Fjords is perhaps also due to geological processes and seal level change. To investigate the differences between the two parks, Crowell and Mann intensively investigated certain parts of each, with intriguing results. One of the areas investigated in Kenai Fjords was a narrow sand spit with a series of beach ridges containing a total of four archaeological sites (most dating to the eighteenth and nineteenth centuries and the earliest about 500 years old) and a small tidal pond surrounded by trees killed when the 1964 earthquake caused the land to drop about one meter, exposing their roots to the seawater that permeates the sandy soil. This same seawater also fills the pond, so the sediments in and around it could be interpreted as a record of changes in relative sea level over time. Digging down in search of radiocarbon-datable material, the archaeologists found a series of buried tree stumps 1.8 meters below the present surface that seemed to have been killed in a sudden cataclysm surprisingly similar to what happened in 1964. Six radiocarbon samples taken from the bark of these stumps gave dates that were statistically identical and averaged out to about AD 1170. This strongly suggests that there was a major earthquake at least as strong as the Good Friday one in or around 1170. This is consistent with evidence from several other parts of the region, where other studies have found less precise evidence for major geological changes around this time. The implication for the issue of archaeological site preservation is that any coastal sites in this area predating 1170 would have been destroyed by the earthquake. Since the geomorphology of Kenai Fjords means that the only usable settlement locations here are on low coastal sand spits like this one, this earthquake probably completely destroyed the previous archaeological record. This would explain why there are so few sites in the park, and why they basically all date to the late prehistoric period or later. The relatively low productivity and other drawbacks of the area may well have limited population earlier as well, but with the earthquake having destroyed any evidence of what was going on previously there’s no way to know for sure. Katmai was a different story, however. 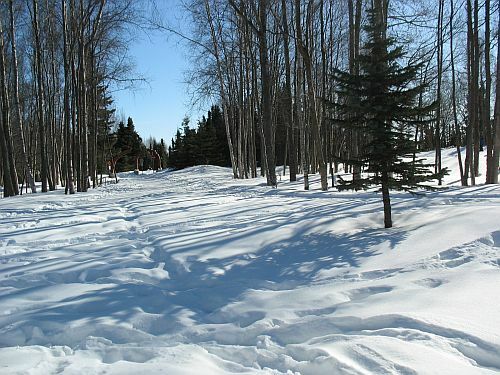 Crowell and Mann discovered 22 new sites there in the course of this project (as compared to 16 sites total in Kenai Fjords documented by this and other projects), suggesting that further survey along the coast will likely reveal even more as yet unknown sites in this very productive area. Interestingly, many of the sites they found were located away from the present coastline, often in uplifted areas that may have been coastal at times of higher sea level than at present. Radiocarbon dates from these sites and from peats in the intertidal zone allowed Crowell and Mann to reconstruct a tentative sea level curve for much of the past several thousand years, with the main conclusion being that sea level has been pretty consistent over the past 4000 years, with a slight rise sometime in the past couple hundred years, possibly as a result of subsidence of land in the 1964 earthquake. (Crowell and Mann don’t discuss the possibility that global sea level rise as a result of climate change may be another explanation for this, but it strikes me as plausible.) In any case, whatever the source of this slight recent rise in sea level, it had few apparent effects on archaeological site preservation beyond contributing to the exceptional preservation of one waterlogged site. The subsidence from the 1964 earthquake was very slight in this area, and this appears to have been true for the 1170 one as well. The rich archaeological record of the Katmai coast, then, appears to be in part a function of the relative stability of sea level in this area over thousands of years, in striking contrast to areas just a few hundred miles away. The archaeological record is always incomplete, and any conclusions drawn from it have to be tempered by knowledge of that incompleteness. As this paper demonstrates very effectively, however, the factors determining just how much of the past is left for us to study vary a lot, especially in places like Alaska where the forces of the earth are exceptionally active. The modern population of Alaska learned just how active those forces can be in 1964, and it stands to reason that the ancient population learned the same lesson in 1170. 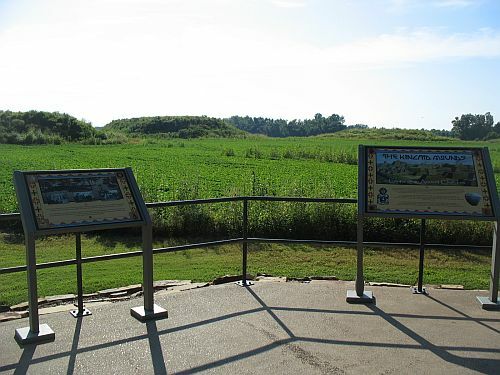 Mississippian societies are best known for their mound centers, with Cahokia in Illinois being the largest and most impressive but by no means the only one. These sites have drawn the interest of archaeologists since the very beginning of American archaeology as a field of study, but the focus on mounds meant that other aspects of Mississippian culture got relatively little attention until much later. One of these aspects was domestic architecture. 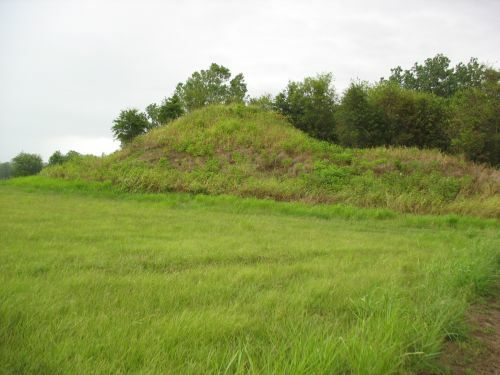 While Mississippian mounds, unlike those of many earlier societies in the Eastern Woodlands, often served at least in part as platforms for elite residences, the fact that both these and more humble dwellings were made of perishable materials and did not survive in the damp conditions of the region led their subtle remains to be largely ignored until well into the twentieth century. At this time archaeology as a discipline was rapidly professionalizing, and archaeologists began to shift their focus from acquiring impressive specimens for museum display to investigating the remains of ancient societies in an attempt to understand them as totalities, including the more humble parts. When it came to Mississippian residential architecture, what these newer, more careful excavations revealed was that Mississippian houses were relatively flimsy, at least as compared to the impressive stone architecture of the Southwest and Mexico. Indeed, masonry architecture was apparently totally unknown in the East throughout the prehistoric period, even in areas near outcrops of useful stone. 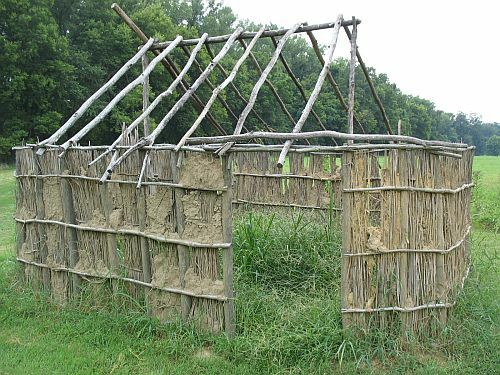 The conception thus entered the archaeological literature that the Mississippians, for all their effort at building mounds, didn’t do much to build substantial houses. There can be no doubt that a dwelling or ceremonial structure built of such perishable materials as wood, canes, and grass thatch is hardly as durable or lasting as a stone building. From the standpoint of preservation such construction is “flimsy.” This interpretation unfortunately implies, however, that this architecture was flimsy in terms of its own cultural setting. That is, it represented a poor attempt at sheltering and housing the people. Walls were constructed by placing poles or saplings in a trench and bending these over at the top to produce a peaked or domed roof. Horizontal poles were lashed to the sides, to produce a lattice. Reeds were then lashed to the lattice. The next step was to plaster a thick layer of clay on both sides of this lattice, over the reeds, then to cover this clay with a matted layer of grass fibers. The final step was to cover this grass with cane mats—large and thick for the outside, thinner for the inside. The wall thus formed was nearly one foot thick, and obviously very rigid—hardly a “flimsy” structure. 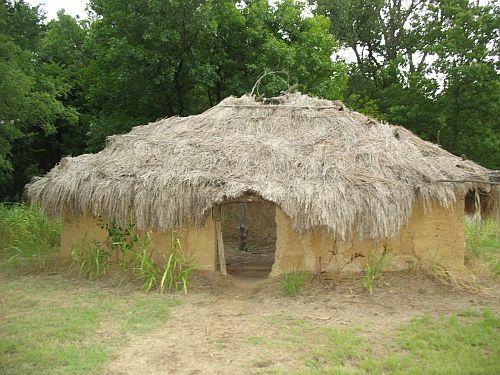 There was actually quite a bit of variation within the Mississippian tradition in house construction; some areas had straight-walled houses with gabled thatch roofs, while others had houses with more of a curved shape. This basic pattern of wall trenches filled with upright poles which were then covered with some sort of wattle-and-daub was widespread, however, and in some areas the appearance of wall trenches is considered a sign of the beginning of the Mississippian period. It’s true that these houses didn’t last very long and had to be replaced frequently (which has been used in some cases to estimate occupation spans and population totals at certain sites), but any type of construction short of stone masonry would have this drawback in the rainy East. Given that these houses would have provided quite useful shelter with relatively little effort, they seem quite well suited to their context. The proximity of Kincaid to stone outcrops in the hills might make us wonder why the Indians never utilized stone for building materials. The answer is twofold: (1) The southeastern cultural tradition did not include such a trait, and (2) the climate and frequent floods in the bottoms required just such a structure as described. The architecture can be considered as a nearly perfect adaptation to the environment. It’s interesting to see here, given the early date of Bennett’s article, that he hits on both of the major categories of explanation that have dominated archaeology in recent decades: environmental determinism and cultural specificity. Neither is necessarily all that convincing on its own, but between the two of them they probably cover whatever the true answer was. 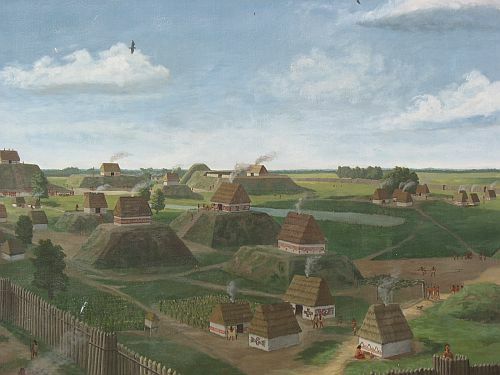 It’s noteworthy that when Europeans began to settle eastern North America they mostly didn’t build with stone either, instead preferring wood until well into the nineteenth century when cities grew to such a size that local wood resources became scarce and fire became a major concern. This even though they, unlike the indigenous tribes, did have a cultural tradition of building in stone which reached quite a high degree of elaboration in the castles and cathedrals of medieval Europe. One way to interpret this information is to posit that building with stone is sufficiently difficult that people are only going to do it when they have few other options, as in arid regions with little wood and when local wood resources have been largely exhausted. In the forests of the Eastern Woodlands this was never really a problem during the prehistoric period (and well into the historic), so people just built with wood and other easily available materials. 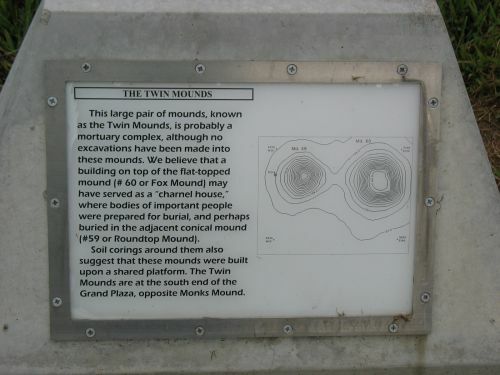 Even for monumental purposes, such as mound-building, they used dirt rather than bothering with stone. Ironically, this meant that everything they built except the mounds eventually rotted away in the wet climate, so their ingenuity in this regard wasn’t discovered until rather recently. Among the rarest and most fascinating artifacts associated with Mississippian sites are figurines made of carved stone. 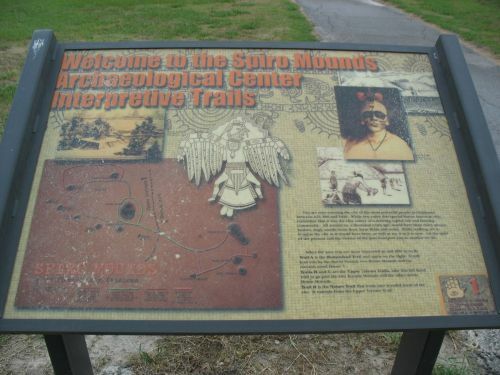 These are most numerous in the Cahokia area, although they have also been found in various other parts of the Mississippian world, most notably at the Spiro site in Oklahoma. Regardless of where they are found, however, many of these figurines show striking similarities in raw material and iconography, and they have accordingly been the subject of considerable study. Most of the known examples of these figurines were excavated a long time ago under conditions that are poorly documented. This is most notoriously the case at Spiro (on which more later), but it is also true of many of the Cahokia-area specimens. A reevaluation of all these early finds was spurred largely by the discovery of new examples through carefully controlled excavations as part of the FAI-270 highway salvage excavations in the 1970s by the University of Illinois. Probably the most famous of these new finds was the Birger Figurine, found at the BBB Motor site northeast of Cahokia in 1979. The context of this and other figurines discovered during this project indicated that they dated to the Stirling Phase (AD 1050 to 1150). During this period the BBB Motor site appears to have functioned as a rural ceremonial center devoted primarily to the processing of human remains for burial, so the presence of figurines there at this time may have some relevance for interpreting their function. 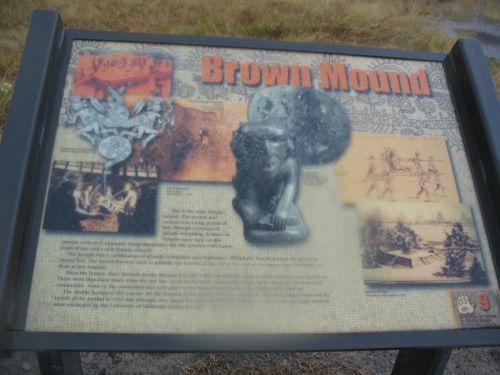 A few years after the discovery of the Birger Figurine Guy Prentice published an article analyzing its iconography in relation to the mythology of various Native groups of the Eastern Woodlands. The figurine depicts a woman using a hoe on the body of a snake that encircles her, the tail of which bifurcates into two vines bearing what appear to be gourds or squashes. As Prentice notes, this seems to pretty clearly symbolize agricultural fertility, and the woman may therefore represent some sort of “Earth-Mother” figure. Various Native groups in the East did in fact worship such a goddess, and the more specific attributes of these deities shed further light on the symbolism of the figurine. They typically had strong associations with serpents, hence the snake, as well as agriculture and fertility more generally. Additionally, and not at all obvious from the figurine itself, they tend to have associations with the moon and with death (with which snakes are also associated). There is typically a sort of “circle of life” motif tying together the Earth-Mother, fertility, agriculture, death, and rebirth. Prentice makes a convincing case that the Birger Figurine fits well into this motif. One of the issues Prentice has to deal with in his article, however, is which groups are most relevant for interpreting these figurines. Recall that they are found both in the Cahokia area and at Spiro. It was long assumed that they were manufactured at or near Spiro, since they are made of a type of stone that resembles a bauxite known to occur in Arkansas. However, as Prentice points out, similar types of stone are found in various other areas, including the Ozark Highlands of southeast Missouri, near St. Louis (and therefore quite close to Cahokia). He deals with this issue by analyzing myths from throughout the Eastern Woodlands along with those of the Caddoan tribes of the Spiro area. A research program led by Thomas Emerson of the Illinois State Archaeological Survey has sought to address this issue more directly, by chemically sourcing the figurines to determine where they were made. They began by analyzing figurines from the Cahokia area, including the Birger Figurine, and determined that they were in fact made of flint clay from the Ozarks and not from Arkansas bauxite. They followed this up by analyzing figurines from other areas to the south and southeast of Cahokia, including Spiro. This involved developing a new, non-destructive method for analyzing figurines, as these specimens were mostly museum pieces that were not available for any sort of destructive testing. The results of this study indicated that all of these examples also came from the Missouri Ozarks. Basically, all of the tested figurines appear to have come from the same source area (possibly even the same quarry), which was in the Cahokia area, and it is most plausible to think that most or all of them were also sculpted in or around Cahokia regardless of where they ended up. There are several implications of this finding. For one, there is a striking difference in subject matter between the figurines found in the Cahokia area and those found in areas to the south, especially at Spiro. The former largely depict female figures and themes related to agriculture and fertility, while the latter more often depict male figures and themes related to warfare, violence, and the chunkey game. It was once thought that this might reflect a difference between Cahokian and Caddoan worldviews, but since all the figurines now seem to be Cahokian in origin it seems more likely that all of these themes were important in Cahokia but that only the more masculine, warlike figures ended up traveling to the southern centers, which may indicate something about the nature of Caddoan societies in the relevant period. Another issue is just when that relevant period was. As noted above, the recent finds of figurines at the BBB Motor site and others in the Cahokia area indicate a time frame of AD 1050 to 1150 for most examples, and it is very unlikely that any were being made in the American Bottom after around 1200. 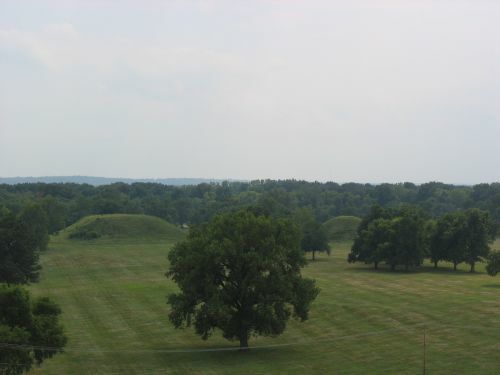 This is around the time Cahokia starts to decline in influence, though it wasn’t totally abandoned until a while later, and it seems likely that some major changes made figurine-making a much less important activity than before. Outside of the Cahokia area, however, figurines don’t start to appear until even later, after around 1250, and mostly in burial contexts. This suggests to Emerson and his colleagues that it was only after the decline of Cahokian power that figurines began to be exported in significant numbers to the Caddoan and other southern centers, which were increasing in power and influence at that time. This was a critical transition (i.e., from figurine to pipe) from an object of elite or religious sacra that was “observed” and to which obeisance was due to an instrument with which an individual “interacted.” There is a vast difference between bowing to an ancestral being and smoking one. For this transition to have occurred it seems reasonable to assume that either fundamental changes occurred in local religious or social practices or that the figurine had moved into a different cultural context where its original meaning was not comprehended or was irrelevant. We have no evidence for this type of transformation of a figurine into a pipe in the American Bottom. Conversely, at present, we have no large undrilled figurines in areas outside of Cahokia. The production of large flint clay icons or idols was a uniquely Cahokian phenomenon. The conversion of such figurines to pipes seems to have been a uniquely Caddoan practice. The discovery that these figurines were apparently all manufactured in the Cahokia area in the eleventh and twelfth centuries is a very important piece of evidence for untangling the importance of Cahokia for the development of Mississippian iconography and other cultural features. Interpreting that evidence is of course difficult, but this research shows the importance of archaeometric techniques for providing a baseline from which rich cultural interpretations can proceed.